TBM3rd "Darkness and Starlight" special movie#２ Updated! Hello, this is wappa writing. How are you? Half of February has gone by already. But it also means that March 19th is getting near!! Today, we updated the Special Movie #2 on TBM3rd special site. Ummm? TBM members are talking about the chorus?! Will they sing by them selves? you can listen to the DEMO Version of the new added song. "Assault of the Silver Dragons" from Final Fantasy 9!! 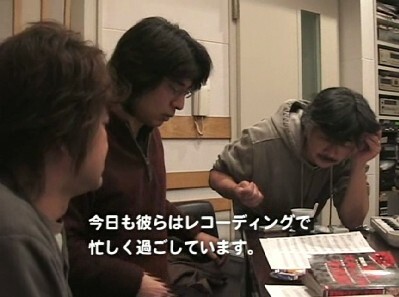 and THAT song which is included in the FF3DS sound track! "Memoro de la Stono" will be included in their new album! Wow, half of the details are already announced! strong "Enthusiasm" inside their music. That enthusiasm does not mean "it's just a hard & heavy sound". They are prompt in decision to make each music a spectacular arrangement. I wish I could bring this CD to you right now!! Please, please look forward to listening, and wait until March 19th! !